When ninety-nine-year-old heiress Josephine Bettendorf Warrick summons attorney Brooke Trappnell to her 20,000 acre barrier island home, Brooke is puzzled. Everybody in the South has heard about the eccentric millionaire mistress of Talisa, but Brooke has never actually met her. Josephine's cryptic note says she wants to discuss an important legal matter, but why enlist Brooke and not the prestigious Atlanta law firm she has used for years? Brooke travels to Shellhaven and meets the cagey Josephine, whose home is a crumbling pink mansion at the edge of the turquoise sea. 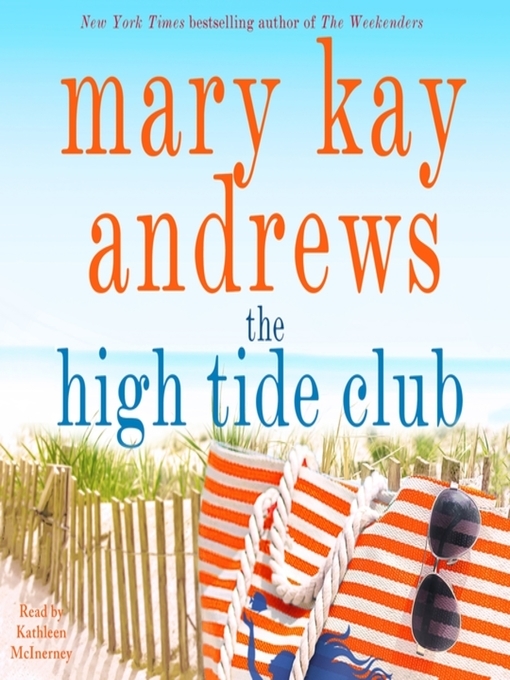 The High Tide Club is Mary Kay Andrews at her Queen of the Beach Reads best: a story shrouded in mystery, Spanish moss, verandah cocktails, 1940s dinner dances, love lost, and possibly...love found.